Jump on the court and play from the get go! The ready to play Junior Tennis set is perfect for the younger player wanting to kick start their careers! Looking to learn the rules of tennis or searching for a sport to play with families and friends? 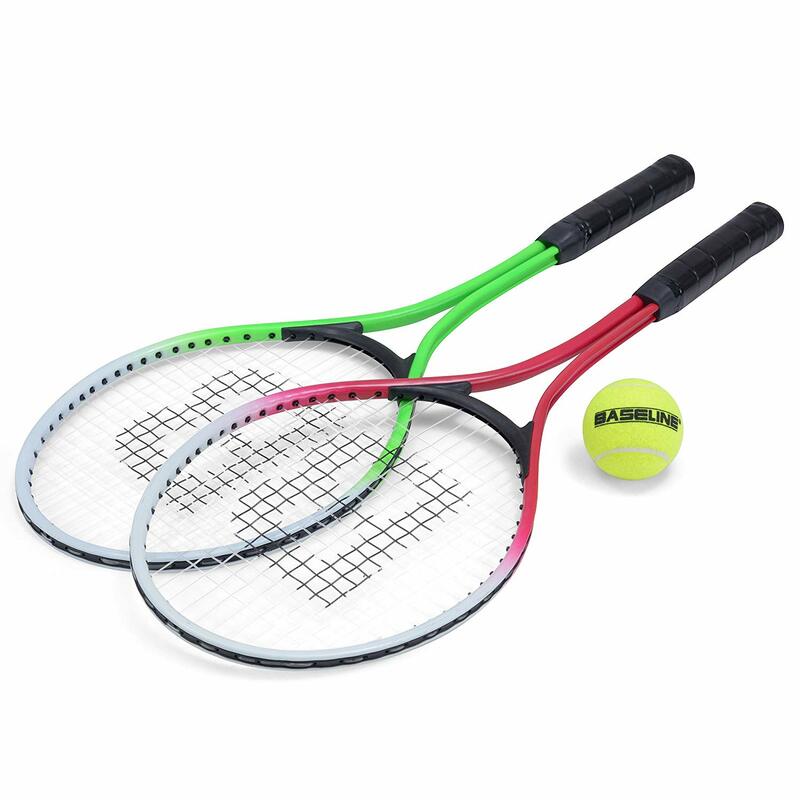 The Baseline Junior rackets are a great addition to kick start your career into the tennis world. Durable and very lightweight, the tennis rackets are perfect for younger players to help develop their skills. So pick up a racket and grow into the world of tennis! The set comes with two rackets, a tennis ball and comes inside a zip up carry bag. Suitable for ages 3+.